Creating affiliate relationships with authors, publishers, bloggers, and others is now easier than ever. Through the IndieBound.org Affiliate Program, book-related websites can link to independent bookstores in just seven easy steps, featured in a downloadable PDF, with links, that booksellers can hand to authors and other interested parties. "An affiliate relationship is much more than a link between an author and a bookstore," explained ABA Chief Marketing Officer Meg Smith. "Providing readers with the choice of purchasing books online from independent bookstores plays a crucial role in the broader localism movement and helps reinforce the value of all indies. Many booksellers suggest affiliate relationships to all of the authors and publishers with whom they do business and to great effect. And most authors, who understand that independent booksellers have turned countless unknown handsells into national bestsellers, are more than happy to provide their readers with another choice." Maryelizabeth Hart of Mysterious Galaxy Bookshop in San Diego, California, recently told BTW that the store is extremely proactive in pursuing affiliate relationships with authors and suggests that they offer their readers the choice of shopping indie via the Mysterious Galaxy website or IndieBound.org. And when Hart finds an author whose site already has a link to the store or IndieBound, she makes sure to e-mail a thank you. "The biggest thing [about affiliate relationships] is the visibility," Hart said. "I'm not so worried about generating a lot of sales ... it's about keeping the idea of multiple options, independent shopping, and community support." Roger Doeren of Rainy Day Books in Fairway, Kansas, takes online affiliate marketing very seriously. "We are supporting authors through events, so it's only right for them to support us," Doeren said. For the past three years, the bookstore has had a policy requiring authors who wish to do business with Rainy Day Books to include an independent affiliate link on their websites, and every author who has appeared at Rainy Day Books since then has featured a link to independent bookstores on his or her site. At Clinton Bookshop in Clinton, New Jersey, Rob Dougherty said, "It's long been the policy of the store that if you didn't have a BookSense.com or IndieBound link, that we would not link to the author's website and the link in our newsletter would go to our store's event page.... You're not telling them you can't sell [through other stores]; you're saying, if you do have an Amazon.com or Barnes & Noble link, please add IndieBound to it." Thus far, "99.9 percent of authors have been very understanding," Dougherty said. "A lot didn't know that IndieBound existed, and I did have one author who went so far as to remove the Amazon and Barnes & Noble links from her website altogether." For Dougherty, affiliate marketing plays a big part in the growing Buy Local movement. "So many bookshop owners wonder, how do we respond to [today's] challenges?... We should ask, how do we move forward -- how do we increase sales.... I was so impressed with the IndieBound campaign, and to really take advantage of it, we fit it into the scheme of what we were doing." 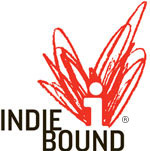 The IndieBound affiliate link, which the store offers to customers as well as authors, is one way of making that connection and spreading the localism movement. Added Dougherty: "[The affiliate link is] a relatively easy thing to do." Doeren also believes it's critical that booksellers be proactive and ask authors to link to IndieBound. "We provide knowledge, experience, service, relationships, and value," he said. "This is serious stuff." Allowing authors to exclusively link to chain stores is like a "dripping faucet, a slow death of a thousand slashes." Booksellers can learn more about the IndieBound.org Affiliate Program here, or they can download a PDF document to give to authors and others that explains how the IndieBound.org Affiliate Program works. 1. Visit IndieBound.org/Affliate to sign up. 2. Complete the Enrollment Form. 3. Review the Affiliate Agreement and click "Accept." 4. Within 48 hours, a unique Affiliate ID will arrive via e-mail. 5. Create the links from your site to ours with our Link Generator. 6. Readers buy your books from an indie bookstore they choose. 7. We monitor your traffic and sales while you earn referral fees.